September 9: Intro to Embody Learning: we’ll be in a classroom talking to the three teachers who have pioneered the model. Registrants are welcomed to record a question before the event, as well. 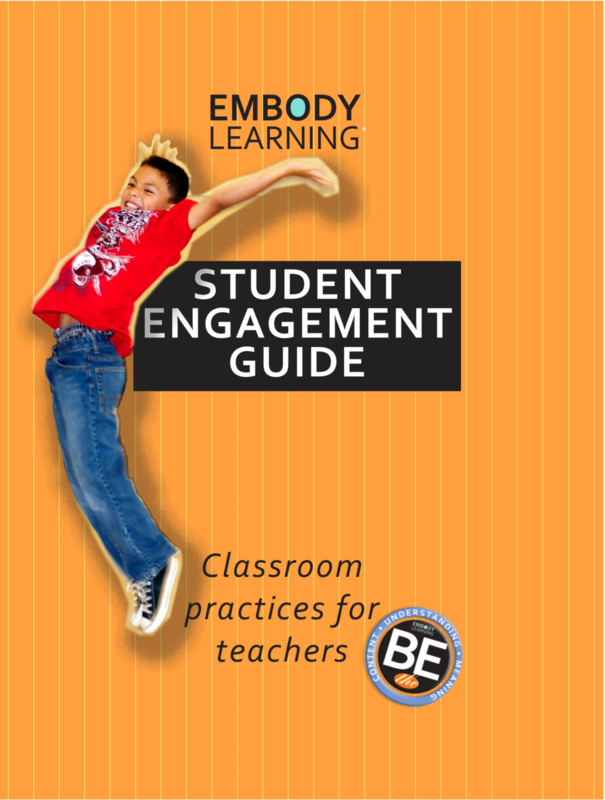 We will examine the main structure of the model: Engage, Explore, Show. Participants will get a sense of how the model works and how to use it right away in their lesson planning and in the classroom. September 16: Focus on highly engaging lessons: what happens before class so that the classroom experience is powerful. We’ll look at how teachers think about lessons , current planning patterns and discuss how EL fits as well as how it changes old ways. We’ll discuss resources and new ideas for looking at content. Talk with users and share resources and show some lessons and deconstruct how lessons were developed. You will think differently about how you think about lessons after this session. September 23: Content plus innovation equals a great learning experience for every student... In this session we’ll make the standards the source for active learning solutions. We’ll discuss student relevance and learning processes that content prescribes. You will content to be much more helpful in creating active learning lessons after this session.